Chana dal beans* are a type of split chickpea (a Dezi chickpea to be precise) that sort of resembles a yellow split pea in appearance. They are very high in fiber and typically used in traditional Indian cooking. 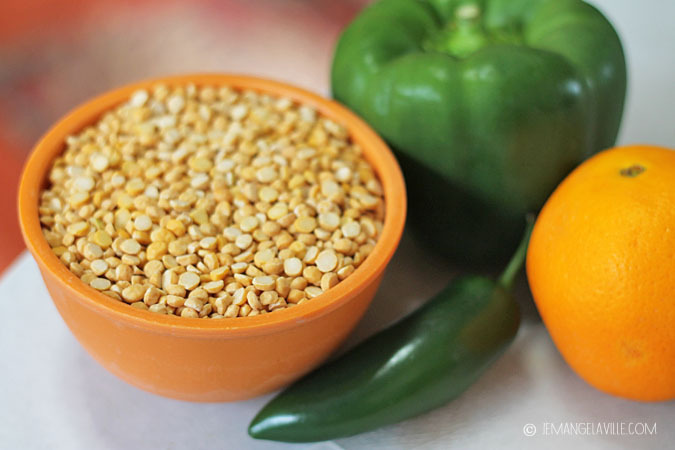 And once you stock your kitchen with a bag or two of these small and sunny yellow legumes, you will find that you will want to use them in all kinds of things–soups, stews, even hummus. That said, you can also use the same amount of plain ol’ brown lentils in this chowder instead. And if you want to swap the broth for diet or convenience, go ahead and use a vegetable or a chicken one. 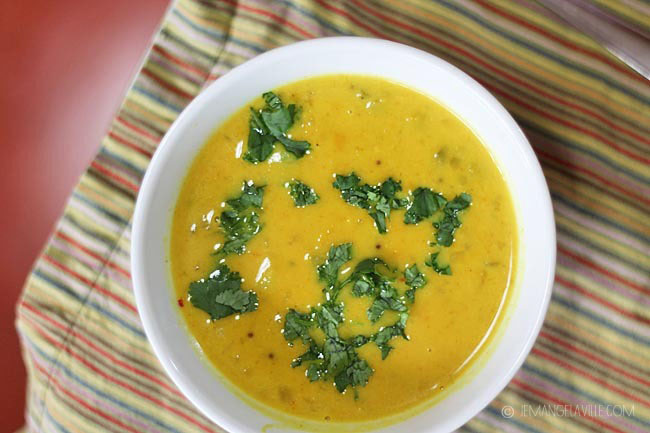 Good for colds, rainy weather blahs, and anytime you need lots of flavor! Heat the coconut oil up over medium heat in a soup pot. 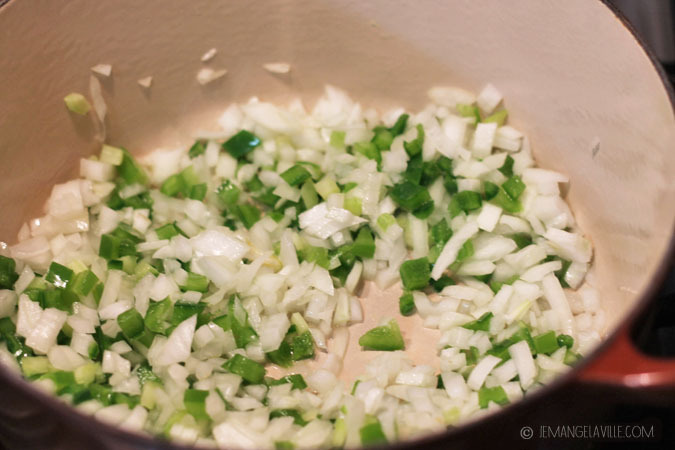 Add the diced vegetables and saute until soft, about 5 minutes. 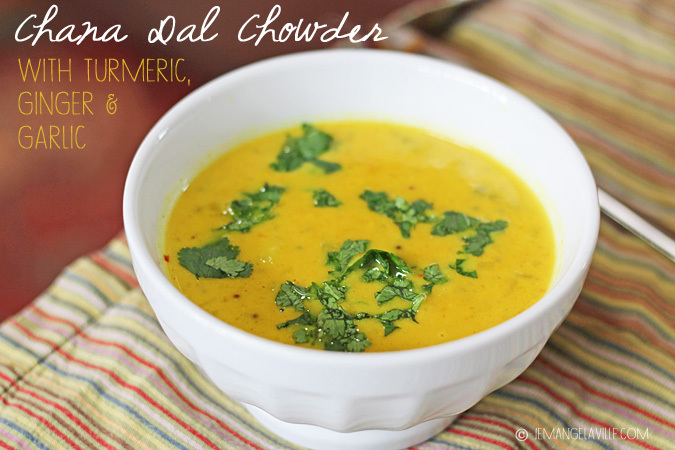 Add the garlic, mustard seeds, cumin, turmeric, and ginger and stir until warm and fragrant, about 30 seconds. Next, add the beans, broth, and orange juice, turn up the heat to high, and bring to a boil. Once boiling, cover partially and let simmer over very low heat until everything is very tender and the beans are almost falling apart – about 45-55** minutes. At this point, you can go in there with a potato masher or an immersion blender and break everything up a little. Stir in the cream and cook over medium heat for a couple of minutes to bring everything back up to a piping hot temperature. Taste, and add salt and pepper (I usually start with 1/2 teaspoon kosher salt and 1/4 teaspoon black pepper). This is also where I decide if I want it a little spicier and maybe add a sprinkle or two of red pepper flakes. 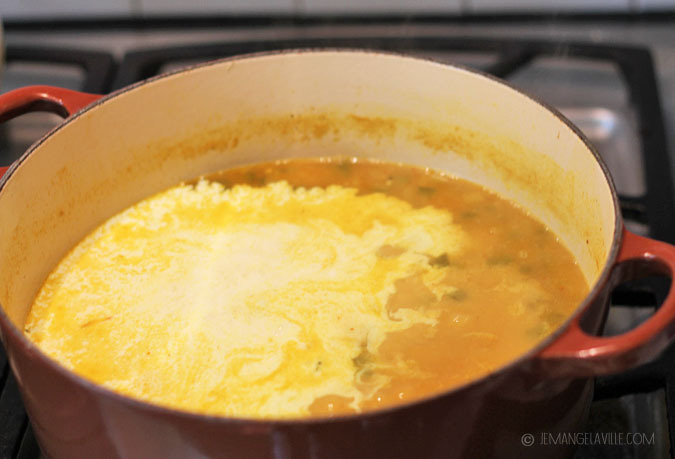 ** If you are using lentils, it will take less simmering time. Check after 30 minutes and go from there. Not gonna lie. This post got my hopes up several months ago. I miss seeing tasty eats posted here.